Usually found along medium-sized rivers and streams. 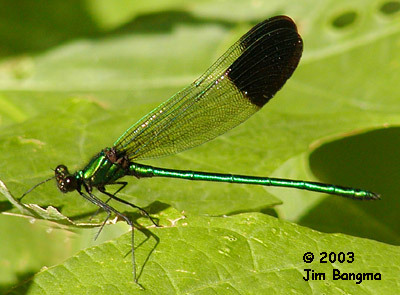 Males have clear wings with black tips. Caution, some elderly female Ebony Jewelwings show a similar wing pattern, but are duller. 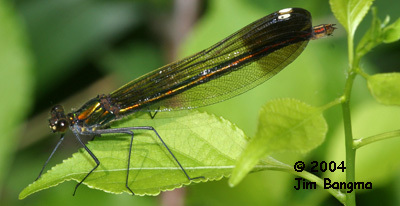 Females are similar to Ebony but paler. 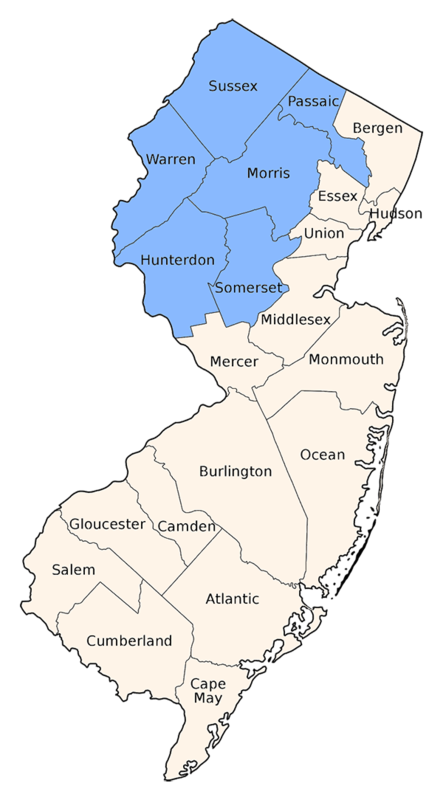 The Sparkling Jewelwing of the Pine Barrens is quite similar but their ranges are not known to overlap.